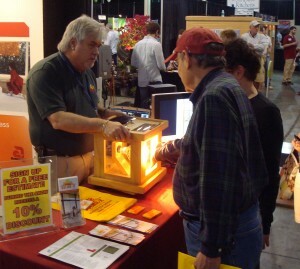 The “Solar-X of Sarasota” booth at the ACS Spring Home Show was buzzing this past weekend as inquisitive homeowners asked questions and watched demonstrations on “solar control”, “safety and security”, and decorative window films and tints. Several past customers dropped by to wish us well, thank us for a job well done, or tell us how much they were enjoying their film applications. Many were kind enough to share their experiences with new prospects; regarding our expertise, or perhaps commenting on the performance of the products. Recommendations like that are “beyond value”, and we certainly thank all those who stopped by – new prospects or old “friends”.